Curry. Arguably the nation's favourite dish. I know its certainly one of mine! I love a good hearty curry, be it spicy or not, it always has to be rich in flavor and plentiful! This Jeera chicken curry is a favourite for me, it's super rich and indulgent, but surprisingly light in texture and melts in the mouth. 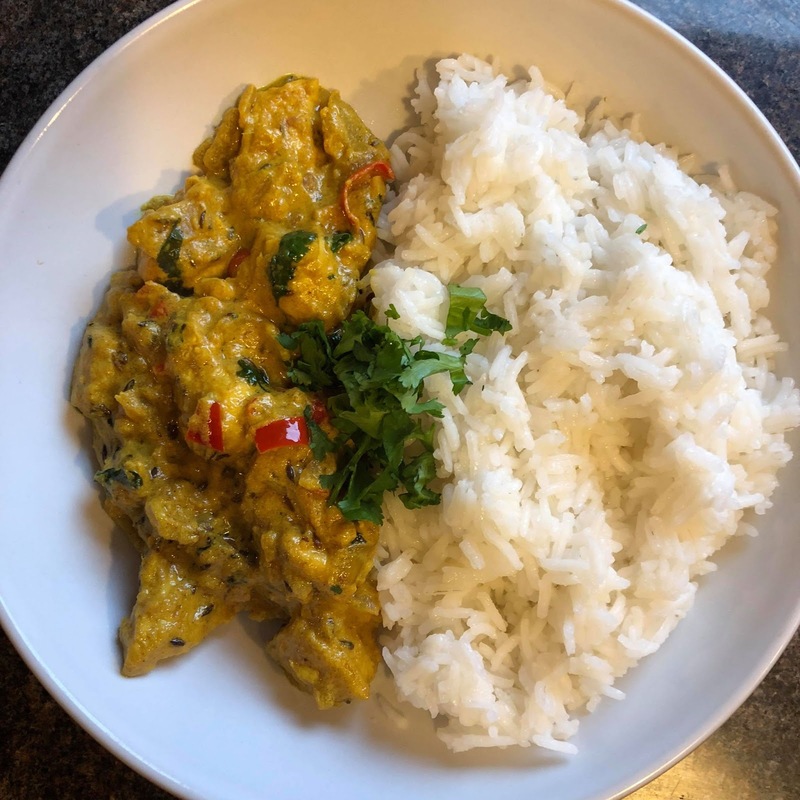 With a beautiful heat and richness from the toasted cumin seeds and a creamy texture from the yoghurt, this is a beautiful curry that will impress your loved ones, and it will take you very little time to make at all! Put chicken in a large bowl. Add the lemon juice and 1 teaspoon of the salt, and stir well. Cover the bowl with plastic and put into refrigerator to marinate for 30 minutes. Place a medium nonstick saucepan over medium and add the oil. When the small bubbles appear at the bottom of the pan, add the cumin. When the cumin begins to change color, add the chilies and turmeric, and saute for 10 seconds. Add the chicken and saute for 8-9 minutes until well browned. Add the yogurt, cilantro, peppercorns and remaining 1 teaspoon of the salt. Stir well and add the cup water. Cover, lower the heat and cook for 20 minutes or until chicken is cook through. Transfer to a serving dish and sprinkle with the mint and serve hot.